It was only right that the best waves of the entire contest season came during the last contest of the year, this past Sunday at the Narragansett Town Beach. With ESA officials planning on the surf going from completely flat to epic overhead in a matter of hours, the 2017 Holiday Surfabout was slipped into the water from noon to dark. “If you grabbed a good one, it was an awesome ride,”said ESA Competition Director Mario Frade. “But on many of the big sets, the winds, which were howling up to 45 and 50 knots, hung up a lot of competitors.” This of course, produced some wild and exciting wide-outs, at least from the spectator stand point. 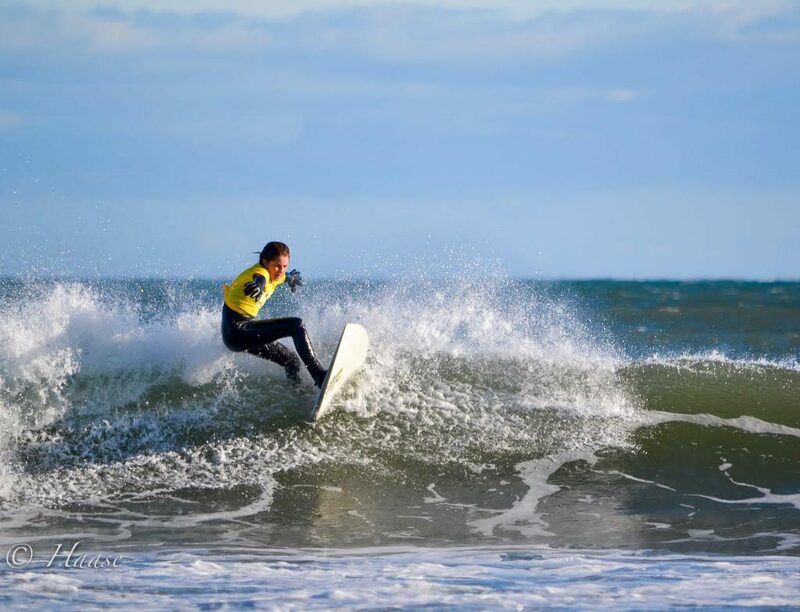 The quality surf produced some top-grade surfing, and none better to shine in the conditions was two-time East Coast Men’s Championship finalist, Jamie Kelly. The judges could not decide which ride gave him the “Hottest Wave of the Contest” award, because both outstanding overhead barrels that he picked off in both the Open Short Board and Men’s Longboard Finals were scored perfect 10’s by the panel. The long board ride was definitely a longer distance, with more time in the tunnel, as he took off just in front of the contest area, and ended it past the south beach pavilion. 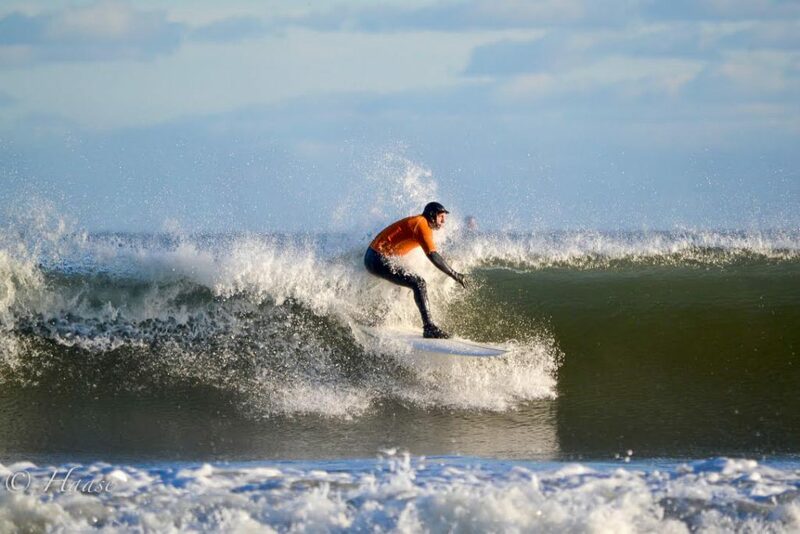 Former Senior Men’s Northeast Champion, Ron Belanger returned from Florida for good, moving back to Westerly, Rhode Island, and easily winning his short board division, and coming in a close 2nd to Kelly in the Open Short Board Final with some dynamic left tubes. Dylan Holtbakk had one of his best performances in the past two years, as he topped a tough heat of Junior Men, tucking into two fine inside left peaks that reeled off into the shore break. 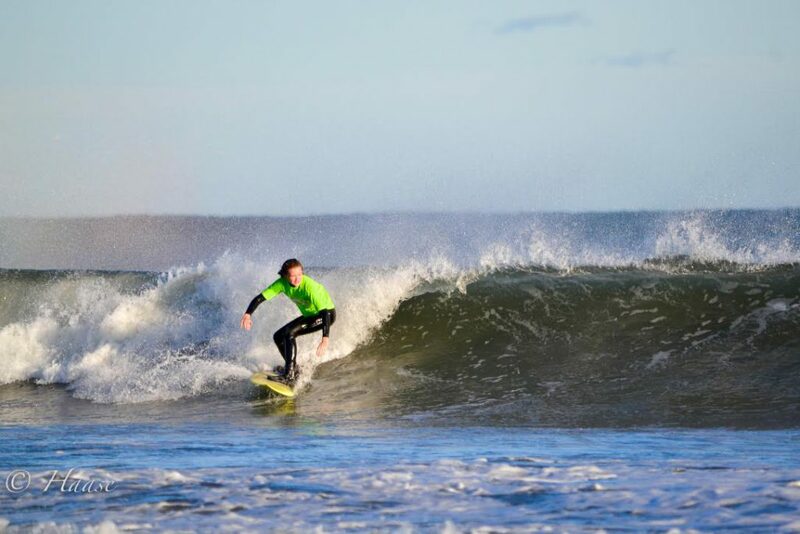 Dylan Moran continued to charge the big surf, winning the Junior Longboard Final with a nice tip ride. Another double winner was Sophia Martino, as she hunted down the inside waves that held up for her in both the Girls Under 14 Final and the Menehune Longboard Final. Nantucket’s top surfer, Luke Johnson, showed how good he was to the mainlanders, taking the ferry over in the morning to crush the Men’s Final, with a wicked right overhead peak that shot him out and put him into the winner’s circle. 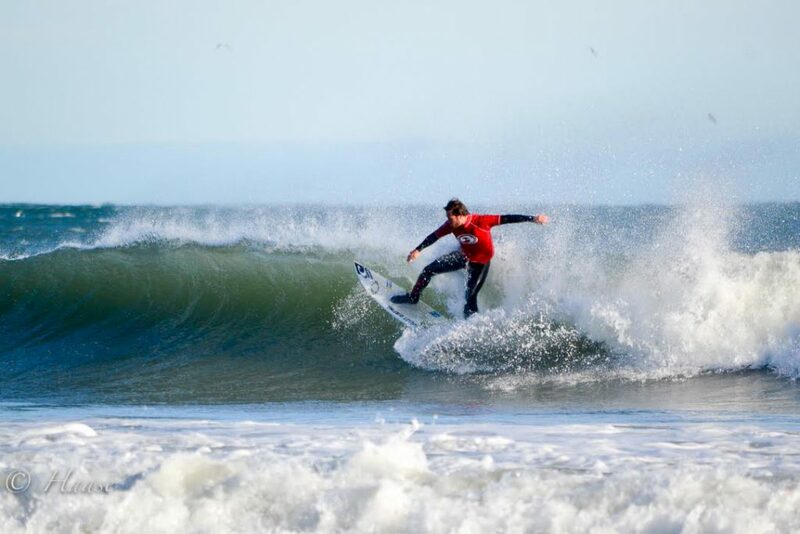 He also finished 2nd in the Men’s Longboard and 3rd in the Open Short Board finals for a great day in the water. Andrew Marsden was another comeback rider, who returned to competition after a two-year hiatus, and found two long right barrels to win the Master’s Longboard crown. Dylan Moran continued to dominate the Menehune ranks, as he won his 3rd straight title. Although the 2017 ESA contest season has concluded, it won’t be long until the 2018 season kicks in. The 50th Annual New England Mid-Winter Championships is scheduled for February 17th at the Narragansett Town Beach. This event is the oldest continuous running winter surfing contest in the world, and special prizes are planned for this year’ participants. For more information, surfers can go to the ESA SNE website or Facebook page.